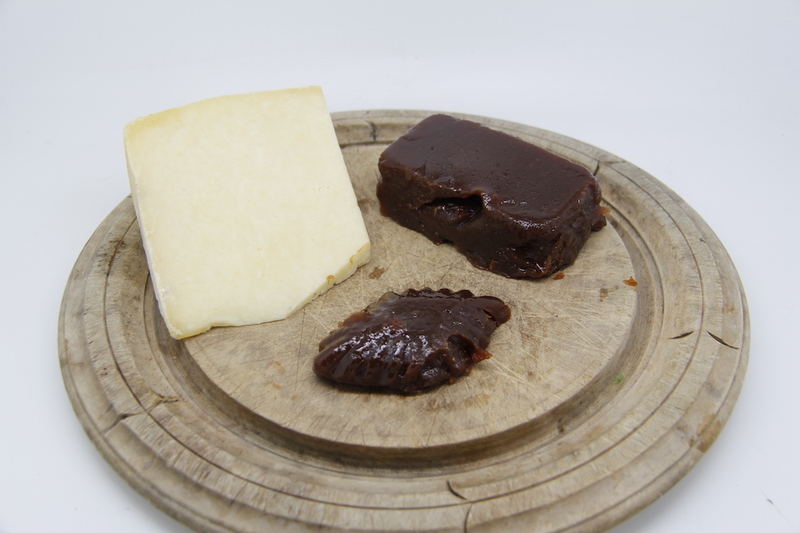 So I also made some medlar cheese which is the medlar version of membrillo, or quince cheese. NO membrillo here as we have yet to have a single quince from the quince tree. 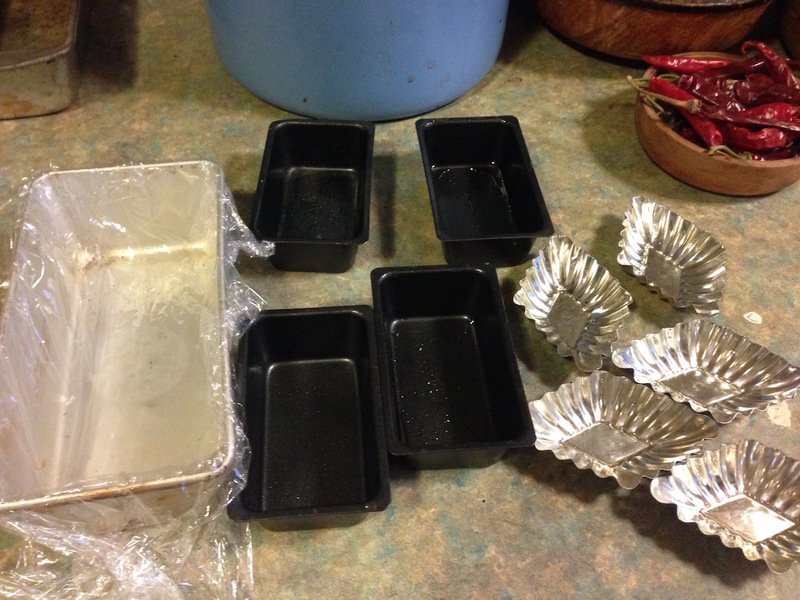 I poured it into fancy-ish moulds and also a bread tin lined with clingfilm – the latter is the way to go – it is hard getting the cheese out of the fancy moulds. Maybe if I had cooked it for longer it would be more solid and would come out easier – who knows. I will try again next year. You need medlars and sugar for this recipe – that is it. 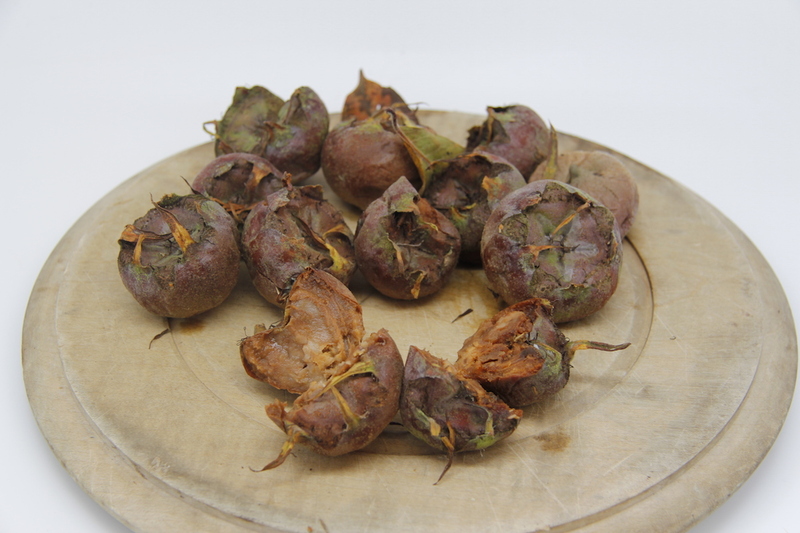 Take your bletted medlars and squish out all the insides into a sieve. Push the pulp through the sieve. This takes forever and is very hard work. 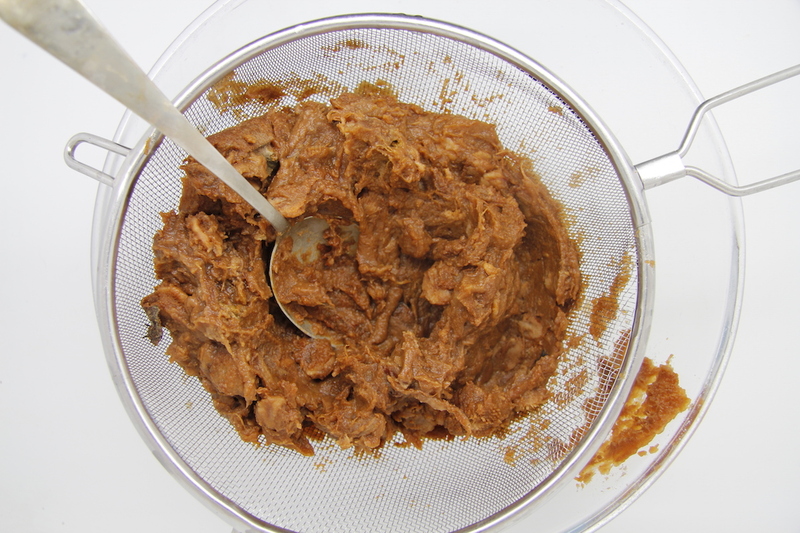 I gave up using my flour sieve and moved on to the honey strainer – this was slightly easier. Eventually when you get bored sieving medlar pulp stop. 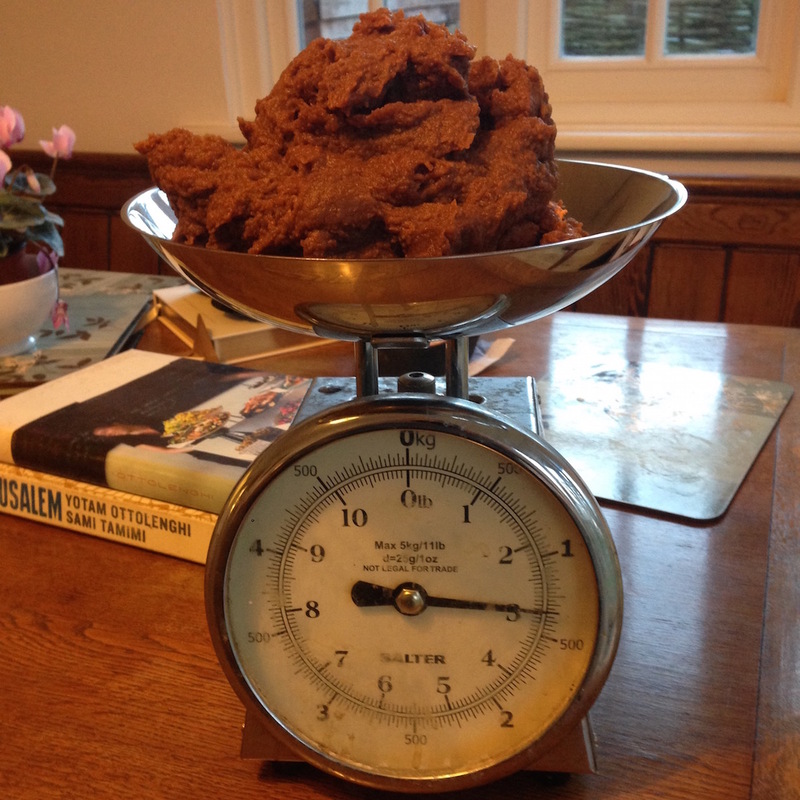 Weigh the pulp and add it with the same weight in sugar to a large saucepan. It needs to be large as you want to try and reduce the chance of boiling hot pulp splattering on your skin. 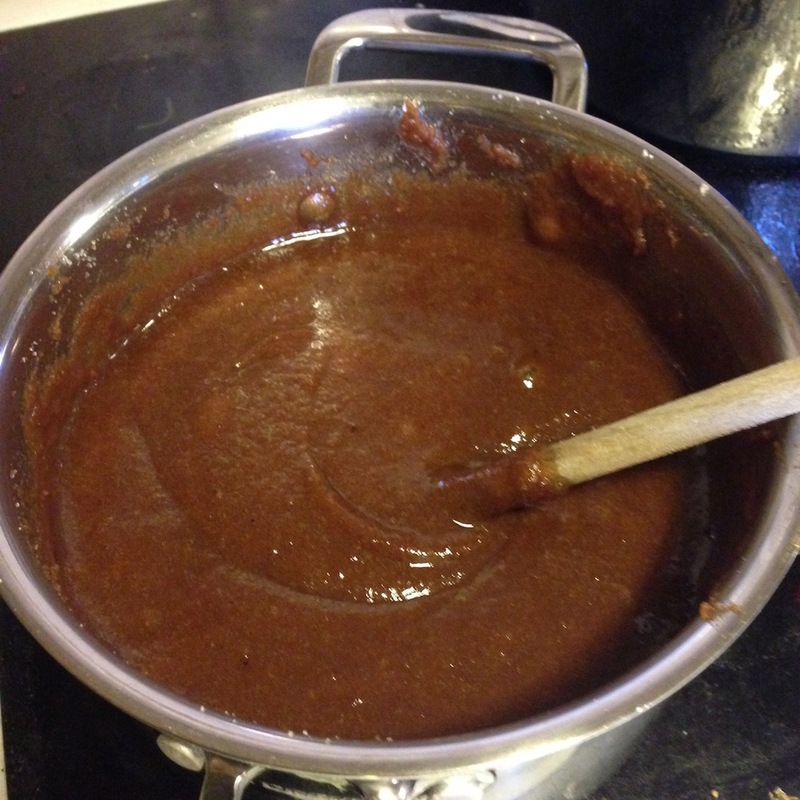 Gradually heat and then simmer very gently. It will bubble and pop and burn like crazy. I stirred constantly with my arms covered.